» Post your current game here! » Looking for casual game? This might be your solution. » Moo was 100.000th visitor on NR Forum! Keep in mind that you will not get boss rewards if boss is not killed! When you encounter a team battle raid boss for the first time after your team is assembled, you will see the word "No Edge" on the bottom right corner of the raid boss window. When one of your teammates attack the boss, that triggers a combo and the edge will start at 1.5x. Attacking while the edge is at 1.5x will boost your normal damage on the boss x 1.5. For example, if your normal damage on the raid boss is 1 million, at 1.5x edge, your damage will be 1.5 million. Each time a teammate attacks the boss the combo edge will keep building up (1.6x, 1.7x...etc) until it reaches 2x. 2x is maximum edge. You will do twice more than your normal damage at this point. You alone cannot build the combo. At least two teammates have to take turns to build up the combo. There is also a timer for the combo edge. It will start to tick down from 1 hour after attacking. Each time you or your teammates attack, the timer will reset giving you more time to attack. But about every 5 attacks, the time gets shortened. After so many attacks, the timer will only give you 5 mins to keep the edge going. If no one attacks during that time frame, the combo edge will disappear and you and your teammates have to work again to build the combo edge up. **There are two types of raid bosses during crackdown event. 1. Team battle raid boss: Only your teammates can attack this boss. Only appears 2 hours before and after a team is assembled. 2. Non-team battle raid boss: Players that randomly encounter this boss during missions can attack. **Losing team gets the advantage of bigger chance to crit and bigger crit damage. The more you lose, you will crit more frequently and hit harder. 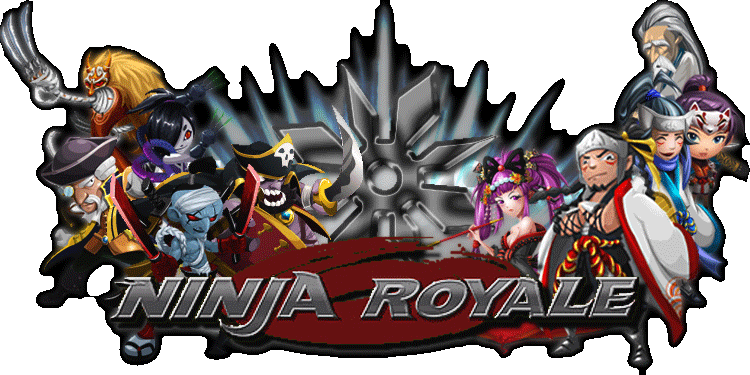 **The road to higher ranking in this event is by killing raid bosses and getting MVP's or #2/#3. **If you are a low level or if you don't have decent gear, and if you KNOW that you won't get MVP or #2/#3, use just 1 battle point PER raid boss. Using 3 battle points knowing you won't get top 3 is wasteful. **For Ninjas with better/decent gear, wait until the combo edge is at 2x (team battle raid boss only) or use a spare battle point if you can to help build up combo. You will do twice the normal damage on the raid boss. **It is recommended that you save your karma, cookies & doriyaki(s) for team battle bosses only. Team battle raid bosses have higher rewards and points than non-team battle raid bosses. Plus you can take advantage of combo edge. **Non-team battle raid boss has a high zeny reward. Get your attacks in and help kill the boss if you need zeny! **Best way to get through the stages is to knock down a super boss in 1 try. **Depending on your gear, it will get more difficult to kill the super boss in 1 try. Progressively you will need to crit at least once or twice to kill it. **If you cannot kill the Super Boss in 1 or 2 go's, try to wait out the frenzy. That way you won't encounter the Super Boss anymore. Please feel free to add any tips & strategies here! I don't like the idea that lowbies are required to help with raising the combo edge while big guys wait for the 2x combo. It should be a team effort. What it should read is that use single BT to raise the combo. And the combo must be raised by alternate attackers. It would not be raise if the same player attack in a row. If your gears are not powerful enough, use single BT to gain crackdown and/or supremacy points as this is the most effective in turns of points per battle turn. However, everyone should keep in mind that you only get the big points when the boss dies. So it is in everyone's interest to contribute. Even if you can't get MVP, its still good to help to gain points that otherwise you wouldn't be getting anyway. The part about the points being more during team battle raid boss doesn't really apply. It sort of changes along the event. But in a good team, the team battle raid boss will give more points overall as players within a team are more in control of how the battle goes. USE THE WALL. Super boss are worth going after as long as its not more than 2 attacks. However if you left 20 energy left (6 turns) and with frenzy to go, its probably best if you wait out the frenzy as it is less likely you will get 2 attacks. RussellNg1980 wrote: And the combo must be raised by alternate attackers. It would not be raise if the same player attack in a row. That information is already covered up top. "How the Comb Edge Works"
RussellNg1980 wrote: I don't like the idea that lowbies are required to help with raising the combo edge while big guys wait for the 2x combo. It should be a team effort. What it should read is that use single BT to raise the combo. Finish the super boss in one turn. Especially in the first few stages. Easier said then done I know. But that's a fast way to build up clout. Hi guys can u tell me wath stat i must have(atk and def) to kill 1/2 of life in raid boss without using sandstill? henriquesanto5 wrote: Hi guys can u tell me wath stat i must have(atk and def) to kill 1/2 of life in raid boss without using sandstill? U need atk stats and u need r6 gears to half life the boss. Also being able to last the whole fight helps to. Just lvl ur def up to just enough so u survive till u draw. Usually u dont have to lvl any def up really. I meant just with 3btr wath stats i need? henriquesanto5 wrote: I meant just with 3btr wath stats i need? You'll need at least 400K stats (with event bonus) to do that.